Scammers have been worming their way into giant social media networks to trick people into giving over their personal and financial information. Over the past year, the number of phishing attempts on social media networks like Facebook, Twitter, Instagram and LinkedIn has exploded 150%, experts at security firm Proofpoint say. That’s because fraudsters can use social media to target hundreds of thousands of people at once, but also blend in with the crowd. They mimic users and their activities, and they take advantage of the way people use social media to deal with business problems. Online criminals set up fake customer service accounts to phish for bank login and password information and other sensitive data. These imposter accounts look very similar to that of real businesses, but are often one character off — or they include an extra underscore or other keyboard character. 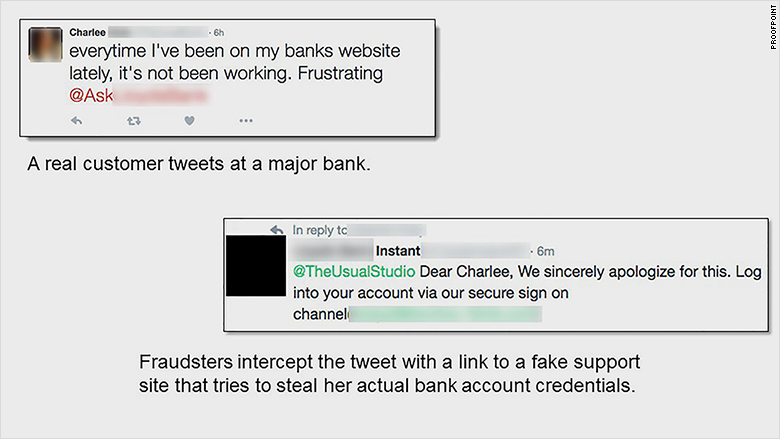 When someone tweets at their bank or example, scam artists will intercept the conversation, and reply to that message with what seems like an authentic answer. 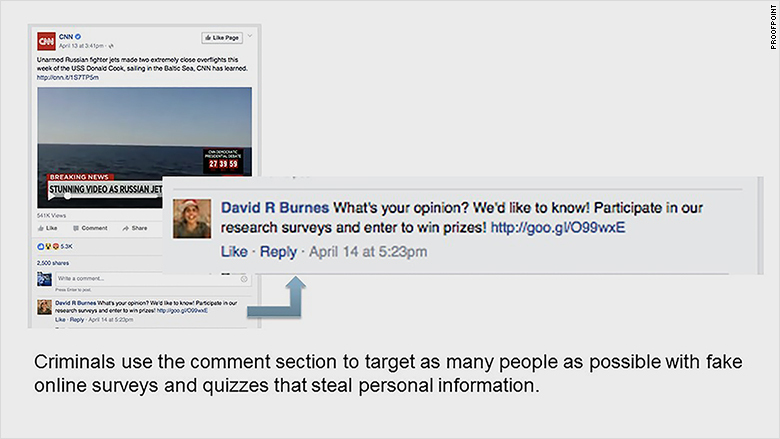 A popular news story or social media post might generate a lot of comments. 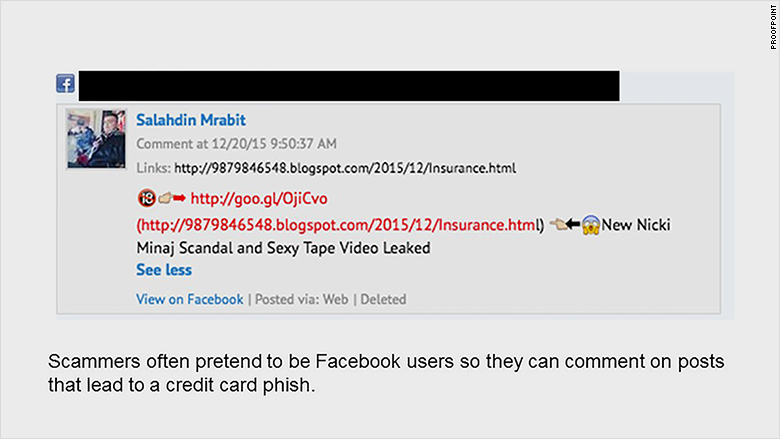 Fraudsters like to take advantage of that large audience by adding their own comments with links to other buzzy headlines that lead to credit card phishing scams. 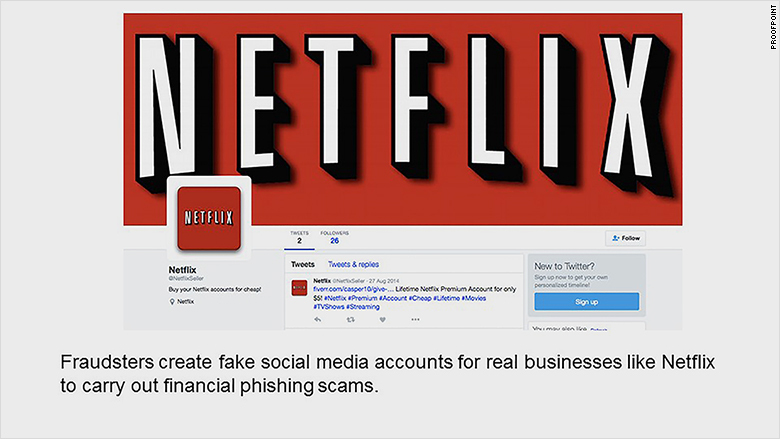 As more media companies start streaming their shows and movies online, scammers are jumping on the bandwagon. 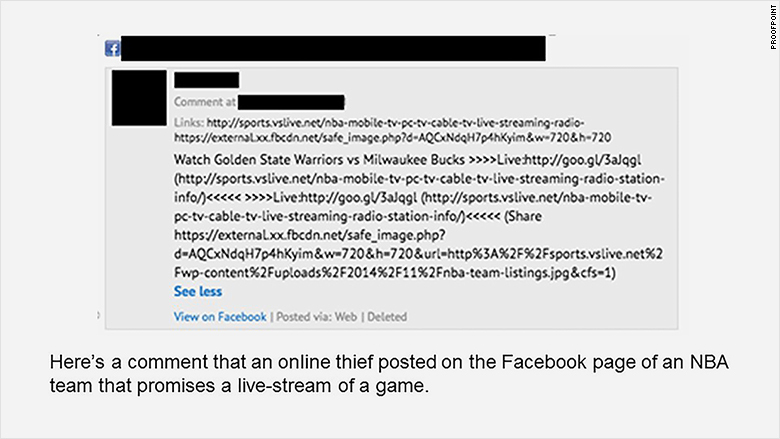 They do things like comment on the Facebook page of a sports team with a link that leads people to believe they can watch a free live stream of a game. But the links lead to a fake website that asks for personal information in order to start the video, which very often doesn’t exist. Fake online discounts work similarly to fake customer service accounts. Schemers will set up social media accounts that look like legit businesses, then pretend to offer a real promotion. In reality, they want to trick people into giving up their personal information. These tactics have been around for years and are designed to get answers to personal questions that fraudsters can mine and sell later. But criminals embed them into social media posts that often look legit because there’s a normal looking profile picture and link, thanks to URL shorteners. Article published on CNN Money.